There are a lot of reasons why a quiet portable generator might come in handy. Generators are ideal in the case of a power outage or other emergency. However, they can also be used during camping trips, tailgating parties, or other outings. What’s great about portable generators is that they’re versatile and can function in almost any location. 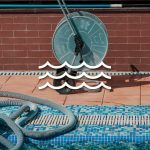 Quiet generators are a great option for people who live in close proximity to their neighbors, since they aren’t as noisy as traditional generators. 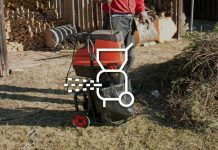 The best, and most noise-efficient, portable generators on the market are typically lightweight and can generate enough power to sustain a decent number of appliances. Read on to learn more about the best, and quietest, portable generators available. 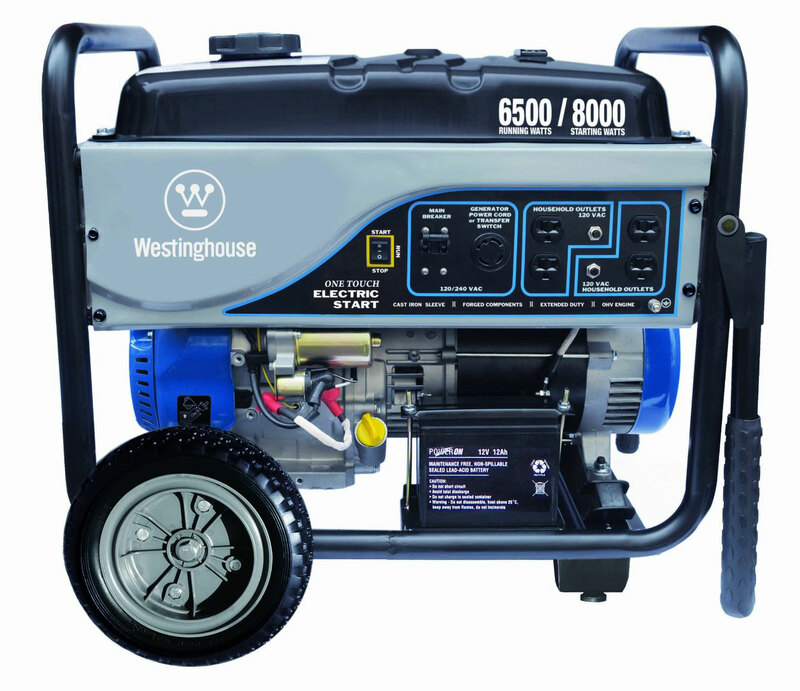 The Westinghouse WH6500E is an ideal generator for anyone who plans on using his or her generator often. 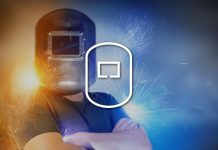 Known for their dependability and high quality make, Westinghouse has developed a great product that quiet generator reviews can’t get enough of. With the ability to run a variety of appliances and other gadgets, from refrigerators to cell phone chargers, this generator is a lifesaver in the event of a power outage or storm. This generator also has the ability to produce 6,500 watts of continuous power. The pulse-flo muffler included in the design also ensures easy on the ears operation. However, ranking in at the hefty weight of 194 pounds, this machine isn’t particularly ideal for portability. While it’s not impossible, it’s not recommended that you try moving this generator without the help of a dolly. Weighing at about 50 pounds, the WEN 56180 is relatively lightweight for such a high-powered machine. With capacity to generate 1800 starting watts and around 1500 running watts, this is a perfect generator for those who rely on back up power during long winter nights. Fuel efficient, with the ability to run for about 7.5 hours on a half load, this machine will most definitely get you through a long, wintery night. If you hate having to go outside to refill the generator in the middle of freezing, stormy temperatures, then you’ll love this model. While it scores highly on quality, dependability, and manufacturing, the WEN 56180 is about as noisy as your typical generator. If you’re looking for a super quiet generator, then you might want to pass up on this product. 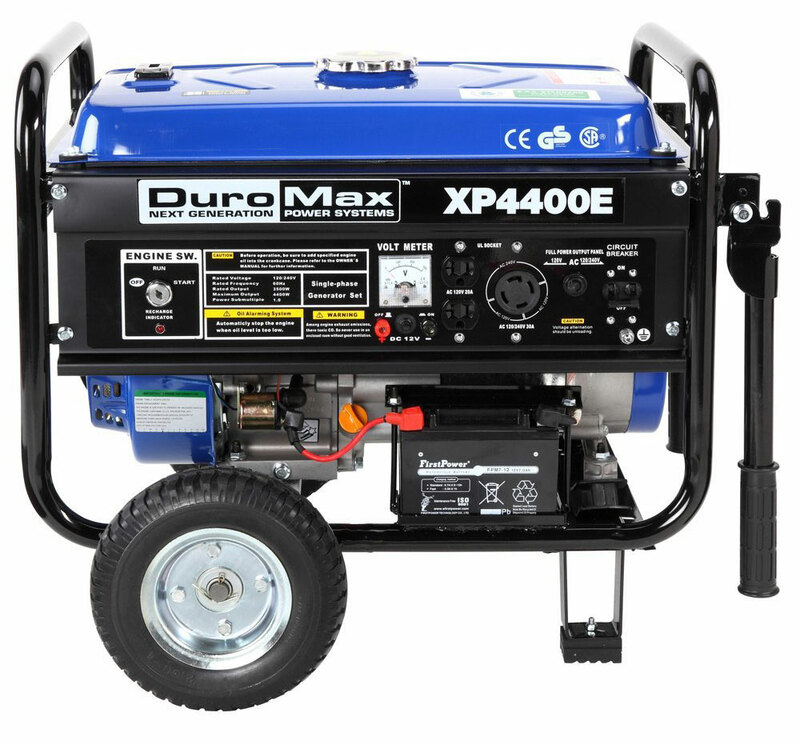 The DuroMax XP44OE portable generator is designed to be a super quiet generator. Featuring automatic low oil shut off and an electric key start, this is a great option to use at home, work, or for a camper. Having the capacity to run for around 8 hours, this is a good option to weather through a storm with. 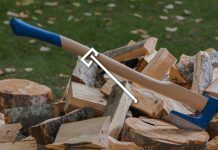 At a 120 pounds, however, it might take a little more muscle work to move this product around, making it less ideal for tailgating parties or traditional campouts. 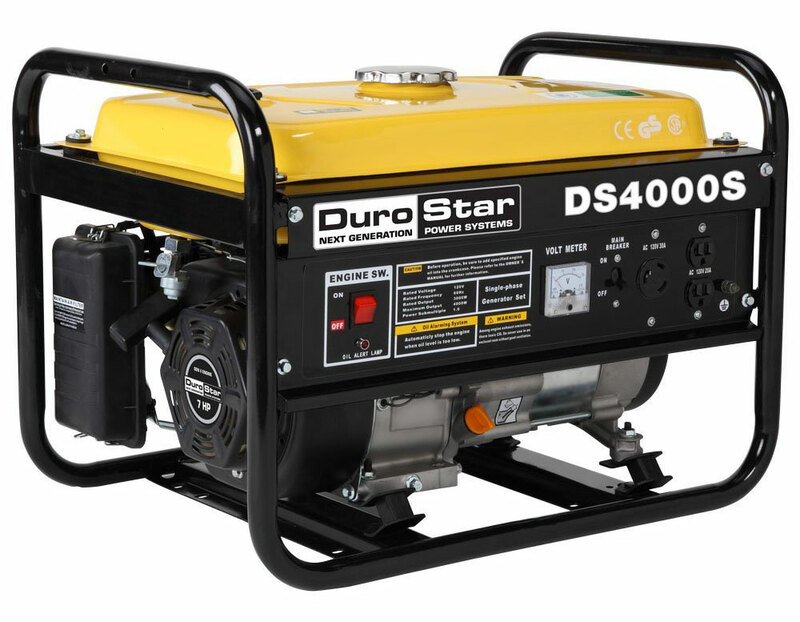 Similar to the DuroMax XP4400E, the DuroStar DS4000S has the capacity to hold 4 gallons of gas and can run for an estimated 8 hours. What’s more, with the ability to generate 3300 watts of continuous power, this product is great for use over longer periods of time. While it’s not the smallest generator, it can most definitely be transported to a variety of different environments, including sporting events, camping, and the home. To ensure quieter operation the product is designed with isolated motor mounts and a steel frame. 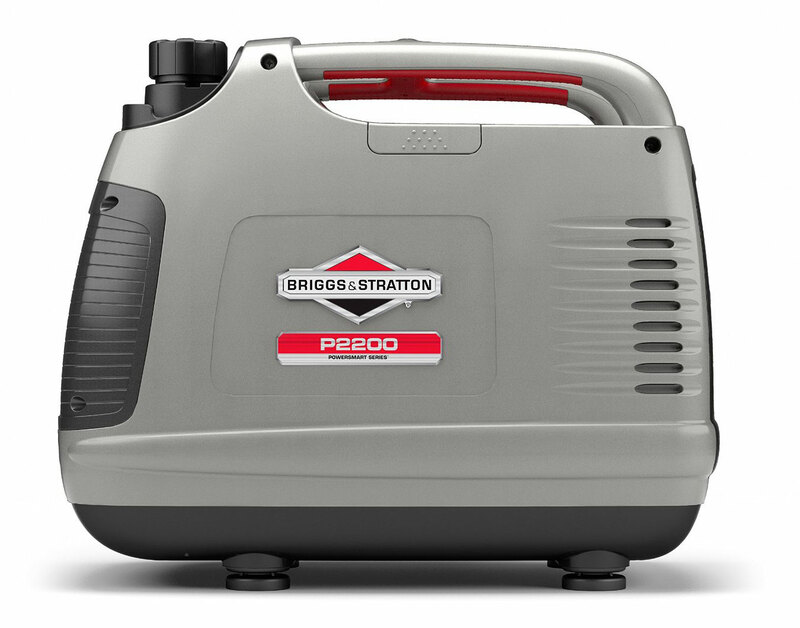 Ultra lightweight and durable, this is an excellent choice for anyone seeking an efficient and quiet generator. 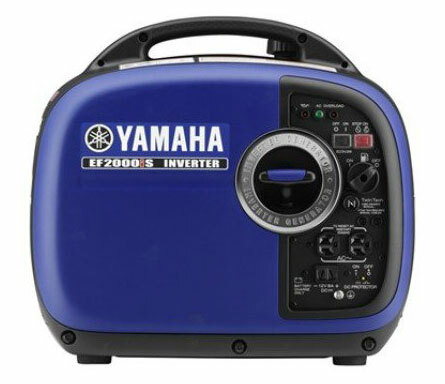 Even better, this Yamaha generator also serves as a power inverter. Featuring a quiet generator muffler, a maximum output of 2,000 watts, and Yamaha’s trademark smart throttle technology for fuel efficiency and noise reduction, the Yamaha ﻿﻿EF2000i﻿﻿s is extremely user-friendly. What’s more, this inverter is recognized among many reviewers as being the quietest portable generator on the market. In light of its size and its ability to run for about 10.5 hours straight, this generator is versatile enough for almost any purpose, such as camping or other outdoor events. If you’re seeking a quiet generator for rvs then you might really prefer the champion power equipment multipurpose generator, since it comes with a standard 30A RV outlet. Upon purchase, this product comes with a two-year warranty and access to free lifetime Champion support, which is a nice benefit for those who want to get their money’s worth. Additionally, this generator comes with a range of different outlets, such as household and locking hookups that are protected by a Volt Guard, designed to shield appliances against power surges. The Honda EU2000I is another ideal alternative if you’re looking for a small quiet generator. Both a generator and an inverter, this product features a noise level management system and a maximum output of 2,000 watts. Thanks to Honda’s technology, this is the quietest inverter generator available. 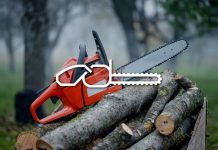 Although pricier than most portable generators, the lightweight design, quality make, and durability of this small generator make it well worth every penny spent. 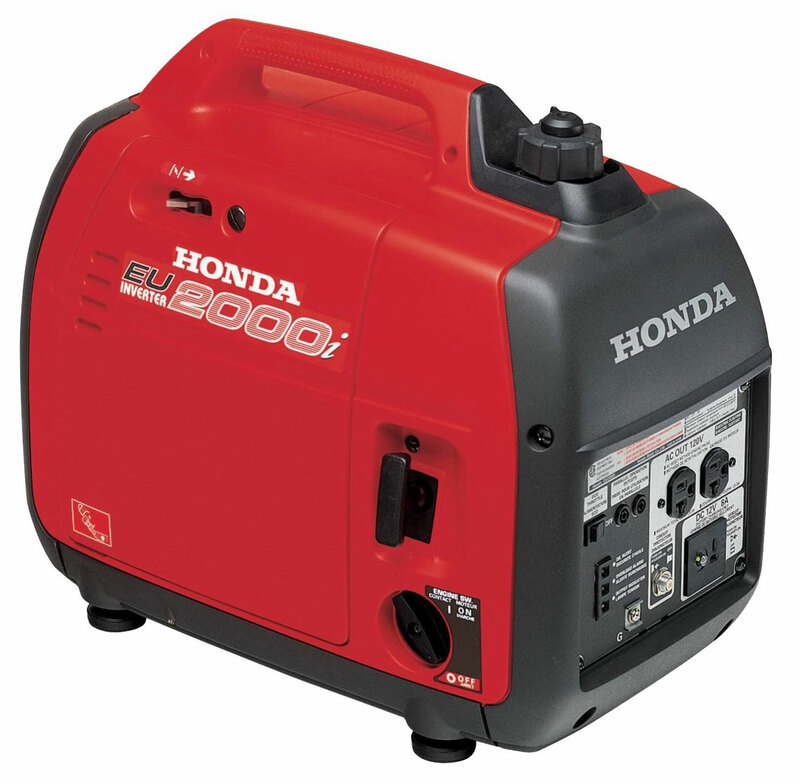 Great for power outages and camping, this trademark Honda generator is built to produce as much power as possible. One of the most convenient features of this machine is that it can be used along side an identical product to produce twice the amount of power. 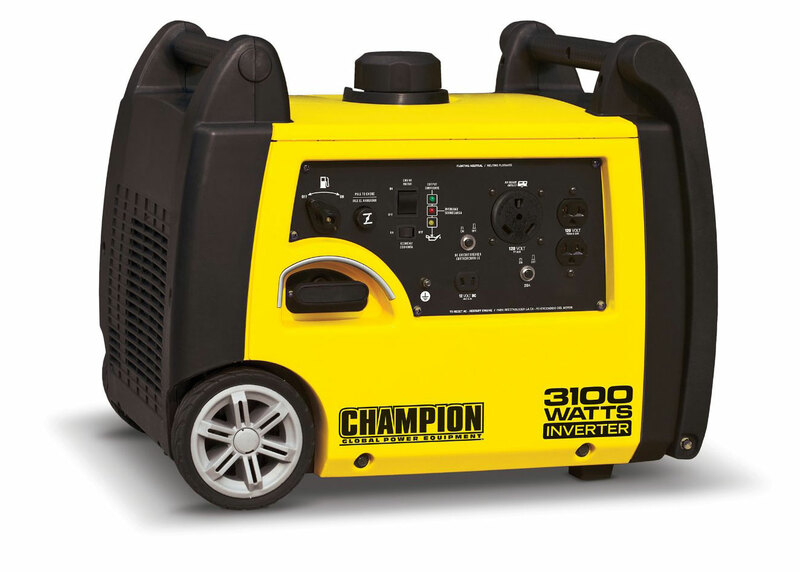 This small quiet generator really is the “champion” of portable inverters. Operating at 58 decibels of sound, this is a great generator to use if you want to avoid disturbing the neighbors. Like other Champion products, this model comes with free lifetime tech support and a variety of outlets, including RV. 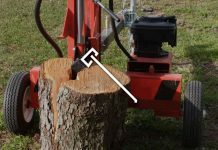 While 80 pounds might seem like a lot of weight compared to other, more expensive generators, the great thing about the Champion 75531i is that it’s compact. It features a set of built in wheels and a fold away handle, making it easy to transport anywhere. These convenient attributes make this an ideal fit for a variety of different occasions, such as tailgating or camping. 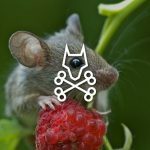 Additionally, in the even of a black out, you can rely on this generator to power a variety of different appliances, including internet modems, TVs, fans, computers, and refrigerators. 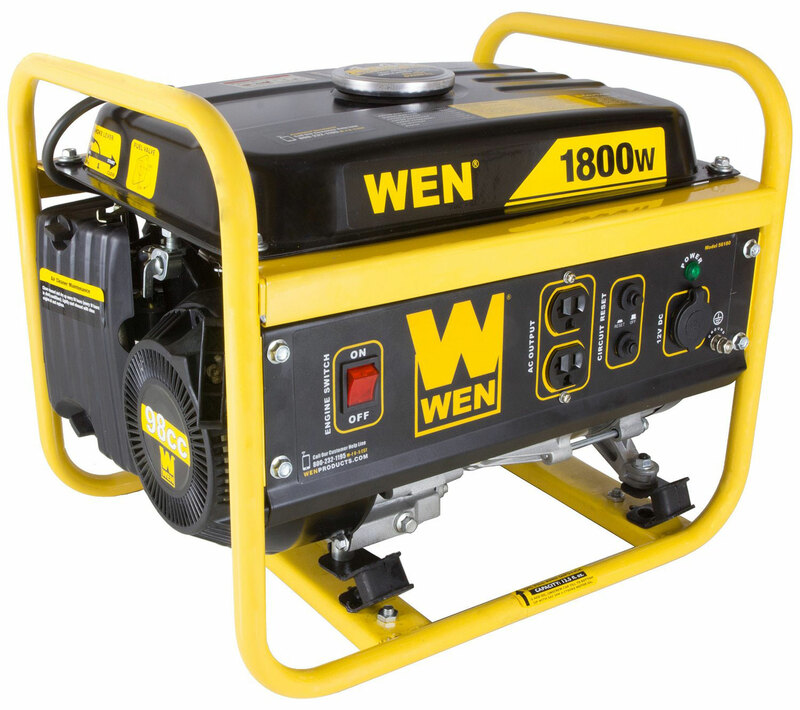 If you’re looking for an especially high quality quiet portable generator, the gas powered WEN 56200i might just make your day. Rated by the US Department of Health and Human Services, this machine is said to create the same noise levels as a regular conversation. That’s how quiet it is! 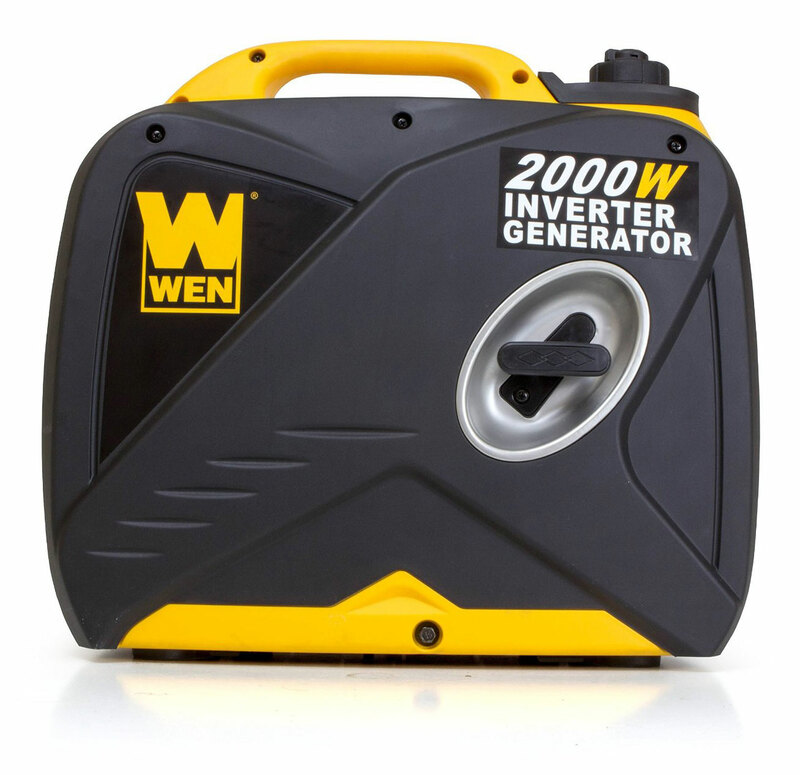 If you plan on using your generator often for several different occasions throughout the year, then this is a wonderful product to invest in. It’s suitable for everything from emergencies to any kind of recreational use. 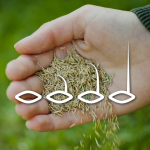 What’s more, this product can produce up to 2,000 watts of clean energy. Lightweight and featuring a wide variety of outlets for almost any kind of appliance, this generator is a jack of all trades. At 55 pounds, the Biggs & Stratton is affordable and fuel-efficient. This product is an inverter and generator that features the ability to produce up to 1,700 running watts, so you can always run your essential appliances. Perfect for campsites or RVs, use the Biggs & Stratton to power electronics like your T.V., coffee maker, microwave, or other small devices. What’s especially ideal about this generator is the fact that it only produces 59 Dba, which makes it great for those looking for something that doesn’t interrupt the relaxing atmosphere of the campsite. There are three popular types of generators, which range in price and size depending on the usage you’re seeking. Individuals in the market for a generator should try to keep the following differences in mind when determining what model to purchase. Portable. 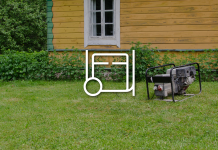 Portable generators can be used for a wide variety of purposes, depending on their build. 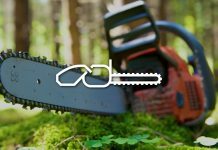 Typically, most portable generators can be used for industrial, residential, or recreational purposes. If you’re looking for a quiet portable generator you might prefer to go with one that’s designed for camping/recreation. Mobile Towable Generators. These kinds of generators, while they can be transported, are more suitable for construction sites, or other jobs, since they tend to be nosier than their portable counterparts. Standby Generators. These generators are the perfect solution in the event of a power outage for your home. 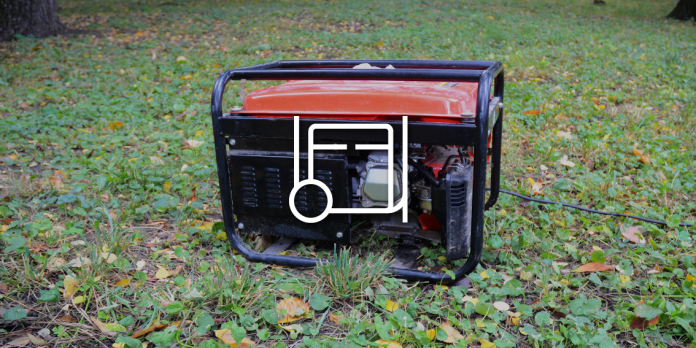 Most of the time, standby generators are equipped to automatically kick start if the power goes out. 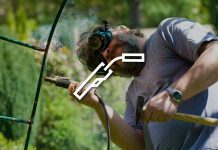 What does portable generator wattage mean? Generator wattage refers to the amount of power a generator can produce. There are two types of wattage to bear in mind when purchasing a generator: running (or continuous) wattage and starting (or surge) wattage. Keep in mind that the amount of power you’ll need generated really depends on your particular circumstances. The purposes you’ll use the generator for, the size of your home, and the amount of appliances you want to charge will all determine the level of wattage you need. 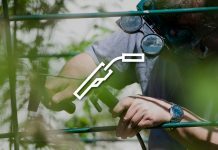 If you’re having problems with a noisy generator, and don’t want to spend money on a new one for understandable reasons, there are a couple of solutions you can try. The first thing you can do is to attach a muffler onto your generator. Another potential solution, and one that seems to have a lot of popularity among generator users, is to build a “quiet box” that fits neatly over your generator. This will reduce some of the sound significantly. 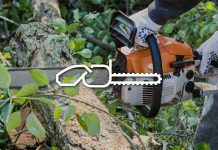 If you want a quiet portable generator that’s great for camping, some of the best models include the Yamaha ef2000iSv2, Honda EU2000i, and the Champion 46596 multi purpose generator. 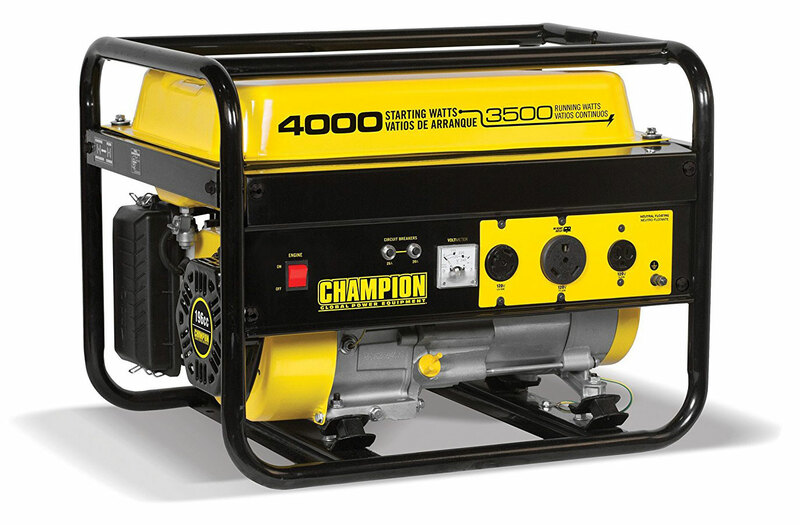 The Champion 73536i stackable generator is also among the best quiet generators for camping. When it comes to boats, less weight is always better. For that reason, you might want to consider a lightweight model like the Yamaha ef2000iSv2, Honda EU2000i, Champion 73536i, or WEN 56180. For any sporting event, you typically want to find a machine that is compact enough for easy transport, but also quiet enough that you don’t miss any critical moments of the big game. 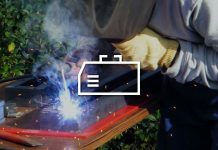 Some of the best products to keep in mind are the Champion 775531i RV Ready Portable Inverter, the DuroStar DS4000S, or the Honda EU2000I. When it comes to generators the best rule of thumb is to invest in something you’ll get the most use out of. If you’re the kind of person who loves to go camping, fishing, or even tailgating, then a more expensive model will give you all the conveniences you need. On the other hand, if you only plan to use your generator for emergency purposes, then get a less expensive model. Keep it a reasonable distance from your home and it should do the job perfectly. 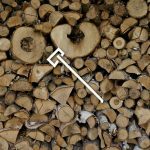 The key to finding the best generator is assessing how you intent to use it the most. For example, if you do a lot of tailgating, you might want a model that’s designed to give off lower sound decibels. Don’t forget to also take the weight of the generator into account when purchasing your new model. 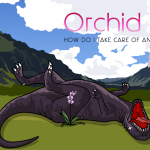 A generator that proves too heavy might turn out to be a floppy investment. 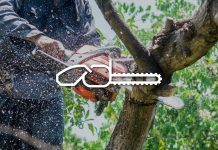 Keep these critical principles in mind and you’re bound to find a portable generator that fits all your needs.